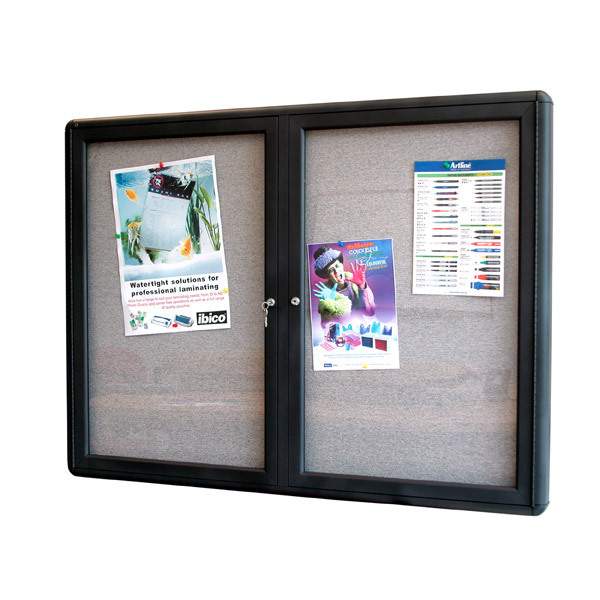 � Durable grey fabric enclosed bulletin board. 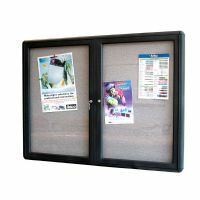 � 2 locking shatterproof acrylic doors protect postings. � Makes updating displays easy. � High density backing holds push pins tightly in place. � Stylish aluminium cabinet with a contemporary graphite finish.